As an admin, you’ve got lots of devices that you log into using IP addresses and other pages that you access such as https://localhost. It gets annoying when you have to see “your connection is not private” a few times a day and then choosing to proceed anyway. 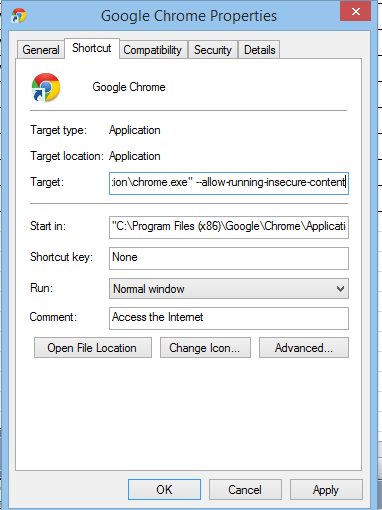 Click Apply, close Chrome, open it back up, and try to go to a non-secure site. It should take you straight through. NOTE: This will obviously make your browser more susceptible to wandering off the beaten path to less secure parts of the internet. Hopefully you know what you’re doing and can avoid this. This trick is really just to take the training wheels off of your browser. I wouldn’t do this just to do it, especially if you’re not familiar with the consequences.